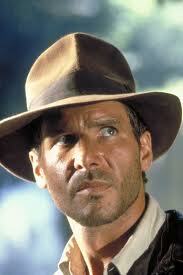 Sometimes I feel like Indiana Jones when I’m coaching and navigating my way through family business dynamics. There are hidden obstacles and traps around every corner! 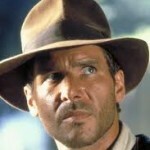 I’ve been looking for the treasure map, the one diagram that would spell it all out – show us the way, keep us on track. Of course there isn’t such a thing, but it hasn’t stopped me from looking! One of the things that I came across in my travels was UCLA basketball Coach John Wooden’s Pyramid of Success. I was drawn to Coach Wooden for a number of reasons; the simplicity of his message, the focus on effort and accountability rather than trophies, and his genuine and humble approach. If you want to get the essence of John Wooden you can watch this short Ted talk. In 2010, I decided to follow his lead and create my own version of the Pyramid of Success – this time for family businesses. What I like about the pyramid is that the lower blocks build the foundation for reaching the higher blocks. Over course of this year I’ll be writing in detail my thoughts about each of the blocks in the Family Business Pyramid of Success™. I want to highlight one of Coach Wooden’s core principles because it is a core principle of my business coaching. Wooden cited an idea from philosopher Cervantes that stuck with him. “Cervantes said, ‘the journey is better than the end.’ ” Wooden said that when you get to the final destination it can be a bit of a letdown. He said that in working with his basketball players he felt that the practices were the journey and the game was the end. The journey was the best part. It’s the same when I look at the family business experience. In my working for 16 years with my family business there were tremendous challenges, frustrations, excitement and disappointment. When the business was sold, I began to realize that working at Walsh Bros. had taught me so many things about life and who I was as a leader, a businessperson and a human being. A family business provides unbelievable opportunity to find out who you are and who you want to become. The family business is a broader expression of who you are as a family. Don’t be overwhelmed when you become frustrated and disappointed – see those challenges as an opportunity to be in the journey. The journey is the best part. Thank you for being here, and practicing to reach your potential. I hope you’ll read these posts and apply yourself to the Family Business Pyramid of Success™. Please give me feedback about this process and let me know any other way I can be a better coach for you. Click here to get your copy of the Family Business Pyramid of Success ™. Please be sure to forward this to anyone who might be looking to be successful! I have been working with family businesses for over 15 years and spent 50 years living in close proximity to my family business, Walsh Bros. Office Equipment. I’ve developed the Family Business Deliberate Practices™ which have real world, specific exercises that I guarantee will give you and your family the tools to become more effective, have higher levels of business performance and personal satisfaction. To sum up my vision for the Peak Workout Family Business Performance Center™ , it is about helping family businesses find peace, purpose and prosperity via practice! Okay are you ready to go? Please complete the form below so I can begin sending you my Deliberate practices. I promise you that I won’t be sharing your information with anyone. Thanks for joining the team! Let’s play to your potential!